Noted Hospitality Professional To Serve as Treasurer, 2013 Board of Directors for NACE – Dallas Fort Worth Chapter; Vice President, Executive Board, Team Networking, Inc.
"Rebecca has an amazing can do attitude and her kindness and generosity are unmatched," said Wendy B. Timson, 2012 President, NACE - Dallas Fort Worth Chapter. Rebecca Wright, a noted Dallas hospitality professional, has been appointed to two key board of director positions. Wright will serve as Treasurer in 2013 for the National Association for Catering and Events (NACE) – Dallas Fort Worth Chapter and Vice President for Team Networking, Inc., a local business-to-business organization. Wright, who serves as special events coordinator for Truluck’s Seafood, Steak and Crab House, is recognized for her customer expertise, personable demeanor, and articulate communication skills. Very active in her industry and the local community, she has served as a member, a committee member and donator to the Dallas Fort Worth Chapter of NACE, the organization’s most notable chapter in the U.S. NACE is the oldest and largest catering association in the world. 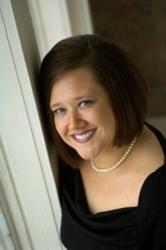 “I am thrilled that she will be a member of our Board of Directors for 2013, serving as our treasurer,” added Timson. In her new role as Vice President for Team Networking, Inc, Wright oversees the education and community service committees. The four-chapter organization, founded in 1998, focuses on business-to-business networking for multi-industry professionals. In addition to NACE-Dallas Fort Worth Chapter and Team Networking, Wright serves as an advisor on the Small Business Initiative Council for the Greater Dallas Chamber; the Dallas Convention and Visitors Bureau; and the North Dallas Chamber of Commerce. Wright also is active with charitable, non-profit organizations, including the Resource Center of Dallas; North Texas Food Bank and the Tarrant County Food Bank.